A great day today! I started work on my drive, well actually Suleyman and Ali started work on my drive, I’m keeping an eye on it in a supervisory capacity while I cut down bushes and burn the twigs. 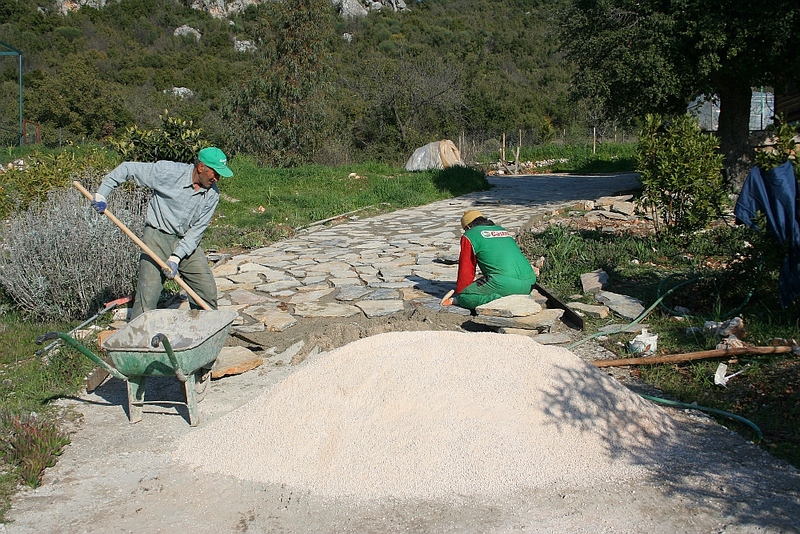 I’m really pleased about the drive being finished soon because it has been a bit of an eyesore, the entrance from the road particularly, and it will greatly improve the look of the place. They did about ten or eleven metres of it today so I’m hopeful that it will be finished by the middle of next week. There are a lot of scrub oak bushes down the south boundary of my property that I am cutting back. My aim is to make a couple of places where I can make secluded gardens with different themes. Don’t really know how it’s going to work out and I can always modify the idea if I don’t like it. It’s something that I thought might be nice when I first bought the property but the guy with the excavator removed all the bushes from most of the land without asking. I should have been here to oversee the work, I’ve never let anyone work unsupervised since. Anyway I didn’t bother taking any pictures of it because a picture of a space made by cutting down bushes has got to be the lamest excuse for a picture that I’ve ever heard. 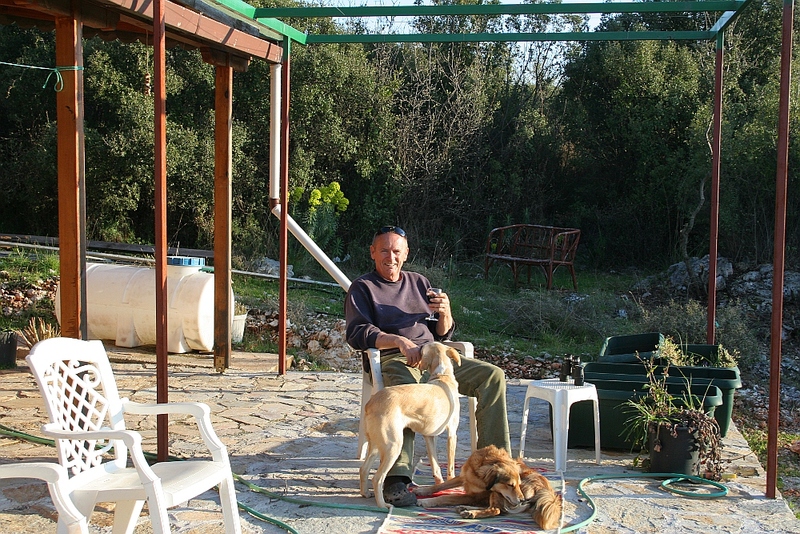 Instead here’s one of me enjoying a glass of wine with the dogs after the days work. Cheers!